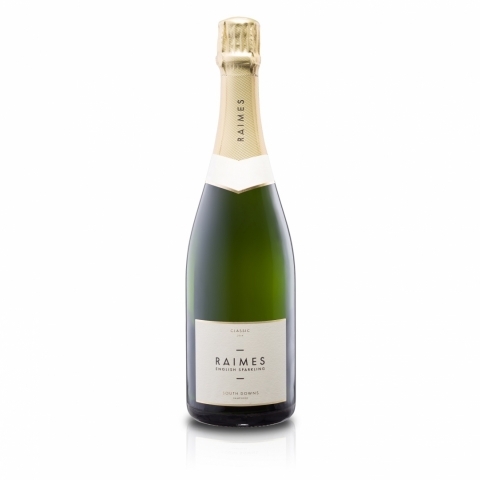 Raimes English Sparkling Classic 2014 was awarded one of only two golds at the first tranche of the International Wine Challenge (IWC) 2019 awarded outside France. The awards are now in their 36th year and are accepted as one of the world's most meticulously judged wine competitions. Every wine is assessed blind within each category, against other wines from all over the world on three separate occasions by 12 judges. "To win any medal is a great achievement" - IWC Co-chair Jamie Goode says "It takes a lot to get a silver, and the golds are rare". With a score of 95, Raimes Classic will now progress to the trophy round of the competition in May 2019. "England and France were the only gold medal winners among sparkling wines. That is amazing, and shows the astonishing improvements English producers have achieved over the past few years, battling head-to-head with Champagne" said Charles Metcalfe, co-chair IWC. Judges' tasting notes highlight a "vibrating, fresh core, with lemon verbena, Asian pear, chalky minerality. Amazing drive and energy throughout the very long finish". A blend of the classic trio of Chardonnay, Pinot Noir and Pinot Meunier grapes, grown only on the family farm near Alresford and bottle fermented in the traditional way, it is an extremely elegant wine. "We are absolutely thrilled at winning a Gold Medal at the International Wine Challenge for our Classic" commented Augusta Raimes, owner of Raimes Vineyard. Raimes English Sparkling is a family run single estate boutique vineyard based in the beautiful thatched village of Tichborne in the South Downs National Park. The chalk slopes provide the perfect terroir for growing grapes, and the incredible summer last year provided a bumper harvest of exceptional quality. The vines rest over the winter before fresh buds start to develop in March. A vineyard tour is a lovely way to spend a few hours in the countryside experiencing the fabulous quality wine we are producing in this country. Tours at Raimes start in the wine barn before heading out to see the vines. Augusta and Robert share a wealth of knowledge on the tour. Their expertise and passion for growing is evident as they tell their story of setting up the vineyard in 2011. You can visit the Raimes vineyard through the summer months on a vineyard tour and cellar door open day or booking a tasting by appointment year round. Raimes English Sparkling produce elegant, well-balanced award-winning sparkling wines from grapes grown on perfectly situated chalk hills in the Hampshire South Downs National Park.